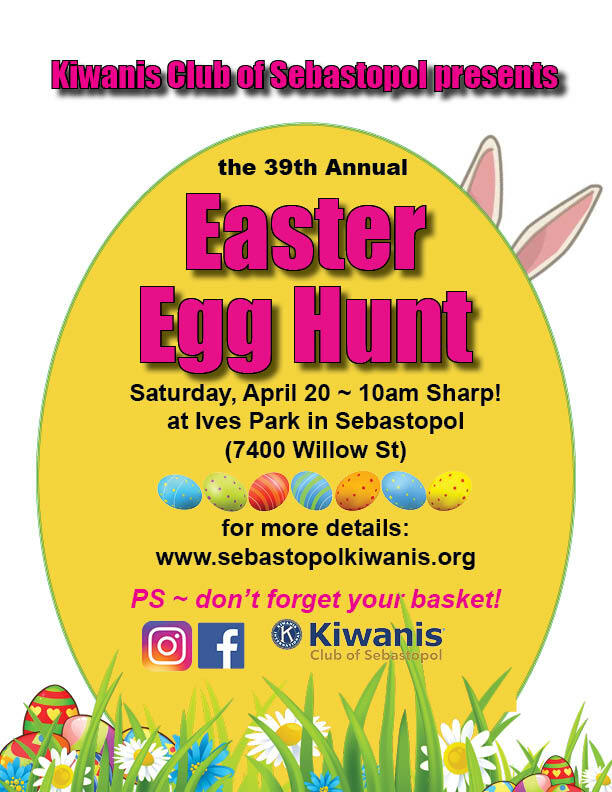 Put on by the Sebastopol Kiwanis Club, this annual event is cherished by all. Take photos with the Easter Bunny in Ives Park and look for all those eggs and other the hidden treasures! We start at 10am sharp and end shortly thereafter. Two areas are set up for little kids and a little bit bigger kids.